Broken roof? We do roof repair in Battle Ground! If you’ve had a small annoyance on your roof—maybe a patch with missing shingles or a small hole—don’t put off getting a repair too long! Your roof does its job best when everything is in optimal condition and working in tandem, and having a section of it compromised could bring many problems to your attic. But if there’s anywhere where animals or water can get in as unwelcome guests, the damage could be adding up without you knowing it! 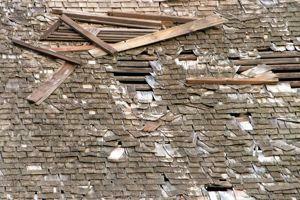 Don’t let it get too far out of hand and call Ridgeline Roofing for a roof repair in Battle Ground. 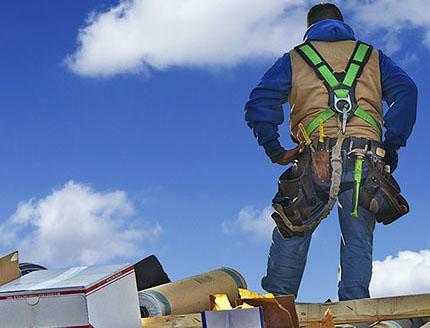 Our roofing contractors always treat you fair; including with the pricing! When many people think of roof leaks, they think of the image from movies and TV where water is dripping from the ceiling into a variety of bowls and pans. While this is possible in some situations, most roof leaks start in the attic and don’t always proceed any further. Two-tiered roofs, for example, frequently get leaks when the 2nd-floor roof downspout drains onto the 1st-floor roof. Valley leaks are also common because water is constantly diverted to a thin pathway. No matter kind of leak you have, we can handle it. What about major jobs like a cave-in? If you had a major event such as your roof caving in or a tree falling on it, a repair isn’t going to be enough. That’s why we also do roof replacements and installations too! What other roof repair services do you do? 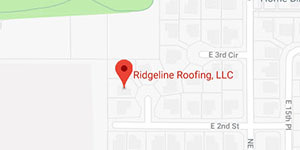 Our local roofing company always puts our customers first. And we aren’t just saying that; see what past clients have to say about our fantastic service! As a winner of the 2016 Super Service Award from Angie’s List as well as high reviews on Google, Thumbtack, and more, customers are impressed by our integrity, efficiency, and respectful attitude. Give us a try the next time you need roof repairs in Battle Ground and see the difference!